Summary: Darby O'Rielly is not your typical girl next door. She and her sister are ancestral witches, but have never been taught the art of their craft in an attempt to have the girls 'fit in' to their tiny community. 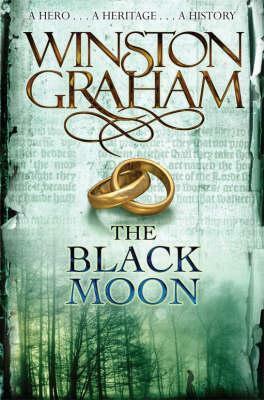 When a dark stranger and his brother enter her life, love blooms and havoc ensues. For these two handsome brothers aren't just good looking, they are 'born vampires' of royal blood and they have hunters hot on their trail. When a Van Helsing wanna-be arrives and threatens Devon and Blake's immortal lives, Darby unleashes a deadly magic in order to save them. As vengeance for killing his hunter, our villain kidnaps, Rowan, Darby's sister and injects her with werewolf blood. Darby, Devon and Blake take a redeye to Maine to try and save her. 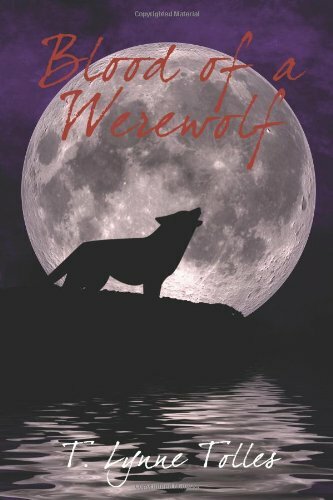 A search then ensues to find a werewolf named Dean who isn't exceptionally friendly or eager to help friends of vampires. Will Rowan survive her transformation or will the werewolf blood wreak havoc on her body and kill her. Blood of a Werewolf by T. Lynne Tolles is an interesting paranormal tale about a pair of witch sisters and a pair a vampire brothers. Darby O'Reilly is a responsible and model citizen. She is smart, loving and an ideal older sister. Rowan is fun loving, adventurous and spontaneous. Darby and Rowan are descended from a long line of witches. However they don't take it too seriously. That is until the house next door gets rented by two mysterious strangers. Devon and Blake are always on the move. They are looking for a normal life. Things get heated up when they meet the O'Reilly sisters. Complications ensue when Blake is attacked by a vampire hunter. The four of them vow to solve the mystery as to why they're being hunted. However when Rowan is kidnapped things get crazy and relationships get tested. The storyline in Blood of a Werewolf is fast paced and full of adventure. Themes such as loyalty, family and forgiveness are woven through out the novel. I really enjoyed the storyline in this book. The characters in this book are great. Both sets of siblings are stereotypical. Darby and Devon are the oldest and therefore more responsible while Rowan and Blake are the youngest and more carefree. My favorite character is Darby. She is steadfast and loyal. I enjoyed Rowan's storyline the best. I thought it was an interesting turn of events when Rowan was injected with Werewolf blood and everything that followed after. I definitely want to check out the next book in this series especially since there is a cliffhanger at the end of this novel. Overall I like this book. I'm interested in seeing where T. Lynne Tolles takes this story and what happens with the characters. *I was provided a copy of this book by the author in exchange for a honest review. I received no monetary compensation and this in no way influenced my review. Great review, Marcie! I've read one book by this author, Somber Island, and liked it. I'll have to see about adding this to my list as well. :) Thanks for sharing! Shelley Workinger Guest Post and Giveaway! Sunday Confessions is going on hiatus.